A Well Stocked Pantry is a home cooks best asset. Jicama -The root's exterior is yellow and papery, while its inside is creamy white with a crisp texture that resembles raw potato or pear. The flavor is sweet and starchy, reminiscent of some apples or raw green beans, and it is usually eaten raw, sometimes with salt, lemon, or lime juice and chili powder. It has been cultivated in South America for centuries, and the vegetable is quite popular in Mexican cuisine. Jicama's unique flavor lends itself well to salads, salsas, and vegetable platters. For this salad if you are not able to find Jicama, then you can use green pears or grannie smith apple. Enjoy!! 1. Prepare dressing – in a small bowl, combine lime juice, honey, olive oil, parsley and herb & garlic seasoning. Blend all ingredients well. 1. Prepare salad – cut jicama in half, then remove skin. Then slice in ½" slices; once that is done then slice in thin strips. 2. In medium bowl add jicama strips, slice strawberries, pineapple, scallions, and mint. Then add dressing over fruit and blend well. To enhance the flavor of the fruit season with a little salt to taste. To serve – place a cup of spring salad mix blend in each bowl, then top salad mix with fruit salad. 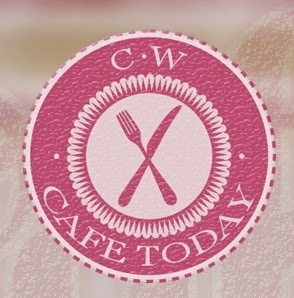 Follow Carol's board CW's Cafe Today on Pinterest. CW's Cafe Today - From Pantry To Table: Well Stocked Pantry : Well Stocked Pantry - Making your Pantry Work for You. Content copyright ©2011-2014 CW Cafe Today / Diabetes and Me. All Rights Reserved.. Simple theme. Powered by Blogger.